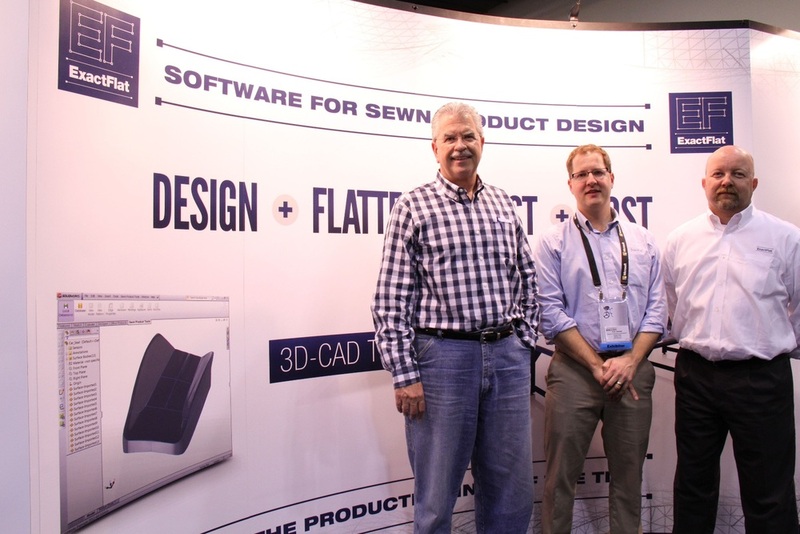 Since we last checked in with Steve McClendon and the ExactFlat team at their debut at SolidWorks World 2012, their platform has been strengthened, and their integration with SolidWorks is more rock-solid than ever. ExactFlat Design Studio is an add-in to SolidWorks that provides design tools for sewn products – anything from car seats to backpacks. I personally have no experience with this product market, but in the brief demo I received at SolidWorks World 2013 from Marketing Director Matt Smith, it was easy to understand every feature of the program. Design can take place in either a 2D or 3D environment. The former is best for those who are used to current sewn product design tools, and the latter is for those with a strong SolidWorks background. The design style can be switched at any time, and all changes are parametrically linked. For example, a designer could model a car seat in SolidWorks, translate the surfaces of the model to 2D shapes, apply a force to the model to see how the shapes deform, add seam and hem material, and nest the shapes into a large cutting pattern, ready to feed into a cutting machine. In 2D mode, the software always remembers which edges will be sewn together, so a change made to one shape automatically updates its complimentary shapes, and the 3D model. There are also special, automatic custom properties associated with each edge, including edge name, seam type, and a property not found anywhere else in SolidWorks, edge length. When creating a drawing, ExactFlat automatically measures the lengths of even the most complex edges, something that SolidWorks’ own dimensioning tools haven’t been able to do yet. In developing their product, the ExactFlat team worked directly with SolidWorks – and gained R&D Partner status – meaning that the integration of their add-in goes deeper than most. For example, ExactFlat offers macros, mouse gestures, and system options through the standard SolidWorks UI. And the collaboration doesn’t stop there. 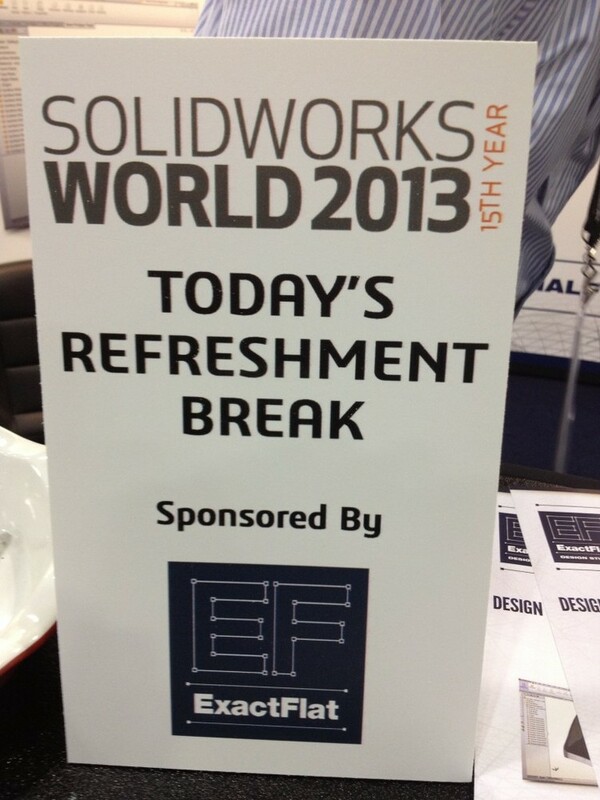 ExactFlat even sponsored one of the receptions at SWW13! That’s a sure sign that business is good. 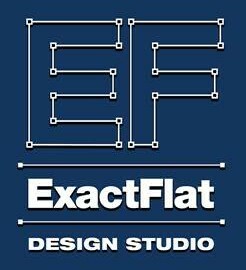 While ExactFlat is still technically in Beta, they hope to obtain SolidWorks gold partner status after their full product launch, schedulerd for March or April of this year. As the lauch approaches, excitement about the product grows. Steve told me that by the end of Day 1 of SolidWorks World 2013, they already had more interested customers than during the entirety of SolidWorks World 2012. That’s no surprise to me. I’ve known since their debut last year that ExactFlat’s enthusiastic team and the innovative new possibilities they bring to the CAD field would set them apart.